The structure indicated is the superior articular process. The superior articular process articulates with the inferior articular process of the vertebrae above. These articulations are known as zyapophysial joints. 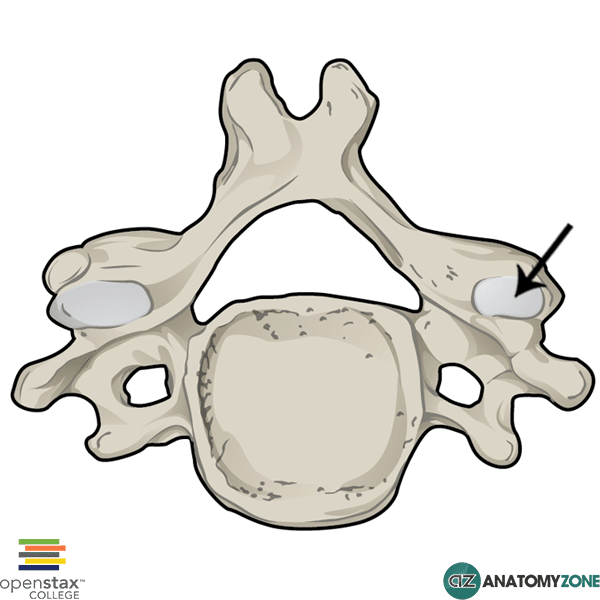 The articular processes arise from the junction between the laminae and pedicles of the vertebral arch. 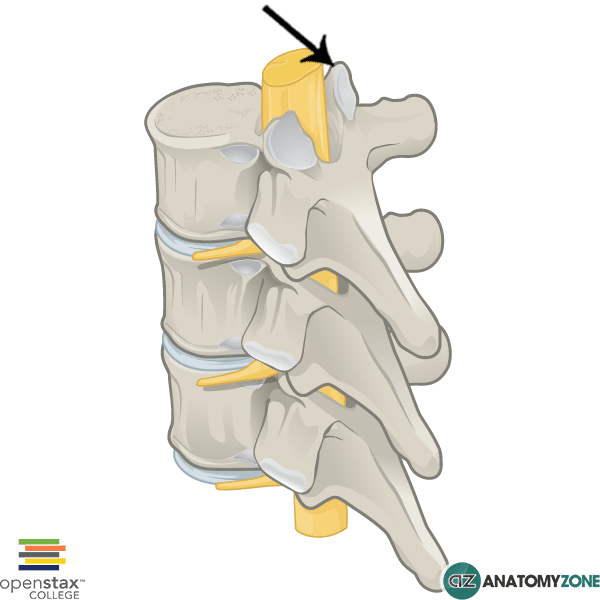 Learn more about the anatomy of the vertebrae in this tutorial.